1-CD DigiPac (6-plated) with 32-page booklet, 26 tracks, playing time 57:27 minutes. Bear Family’s 'The Drugstore’s Rockin’'. We continue the series. The idea is that you go into any drugstore or soda pop stand after school sometime between 1958 and 1963, and you’ll hear tunes blasting out of the jukebox that reflected the teenagers’ lives. The songs might have been punched up one after the other. Some were hits; most were not. But they all said something about how teenagers lived and thought and loved in the long-gone Fabulous Fifties…which as we know, didn’t start until ’55 and didn’t end until ’64. 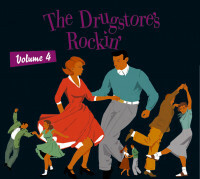 "Various - The Drugstore's Rockin'"
The Bear Family Records CD album series'The Drugstore's Rockin'' reflects the broad spectrum of teen rock & roll sounds that peaked in the late 1950s and early 1960s. 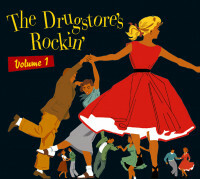 In addition to more well-known artists such as Sonny James, the Four Preps, Jack Scott and the Crickets, the 'The Drugstore's Rockin'' CD series features many more unknown musicians such as Johnny Fallin, Earl Sinks, Barry DeVorzon, Dave Rich and Joe Melson. Who either had only a small success in the hit parades, or often came from other styles, but also wanted to get a piece of the teenage market cake. Besides the four great 'The Drugstore's Rockin'' compilations on CDs, there are also CD albums by George Hamilton IV and Pat Boone! 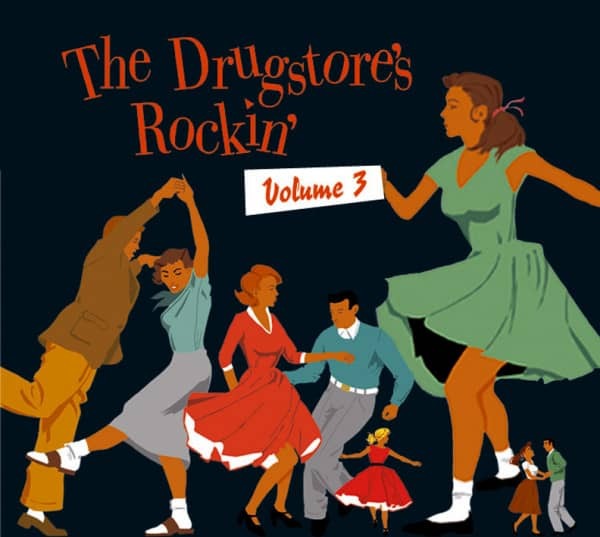 If you want to immerse yourself in the teen rock & roll and soda pop music of the 50s and early 60s, the Bear family Records 'The Drugstore's Rockin'' series is for you! 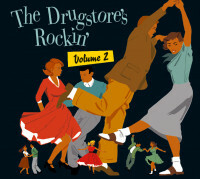 All'The Drugstore's Rockin'' albums come in a high-quality digipack with booklets. Which contains the biographies of the performers, the discographies and many pictures! Teenagers used to like to meet in the drugstore - there was soda pop and usually a jukebox with family-friendly music. The music on this edition, often called high school rock'n'roll, is somewhere between pop, rock'n'roll and country. She swings but doesn't hurt. Just innocent teen music. 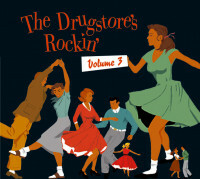 Customer evaluation for "Vol.3, The Drugstore's Rockin' (CD)"